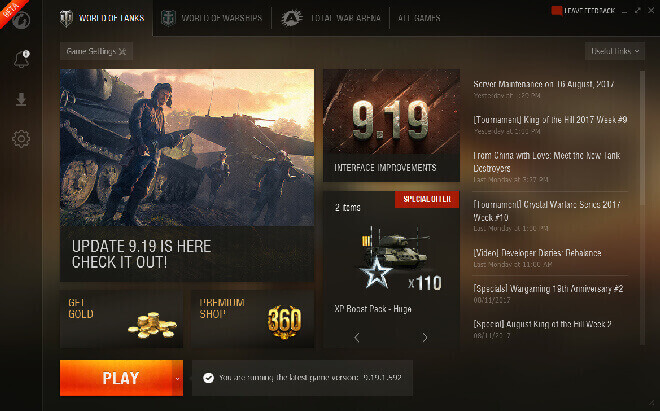 The new Wargaming.net Game Center is here, and we encourage you to change out your old World of Tanks launcher for a whole new experience! The Game Center lets you keep all your Wargaming games in one place, with spaces to read news, watch videos and find dynamite deals with ease! Please leave feedback or questions on the WoT Forums!